Hello! I'm doing claims on the new kid figures from the new mewtwo movie! It includes all the kanto starters, their final evolutions, dragonite, pikachu and some others! Click my sales banner or click here and scroll all the way to the bottom to find the list. I also still have litten up for a claim from the last box I did claims on. Also, to my claimers who claimed shiny kid figures, I have been informed that they should be within the US in a week or so. Some Card Gets! And Possible Trade? Hello everyone! So I know I haven't been actively collecting cards since around the time I first got into Pokemon, but I do occasionally look into buying some cards that catch my eye every now and then! So I started looking into Pokemon card collecting channels on youtube and kind of semi-reintroduced myself to the current card community (sort of, I still only collect cards that I like and not at all for set completion or for the game itself) and I found out some neat cards that have been released in the years that I hadn't been looking into the cards that have been released! Also, I have a card that I'd like to perhaps propose a trade with, so see all the details under the cut! Thanks for reading and have a nice day/night! MASSIVE CUTE EEVEE BANPRESTO FOR SALE! +links to other sales! Best offer! I’m back with a quick sale today! Looking for $55 OBO for him! Hes MWT. He’s such a beautiful plush I’m loathed to part with. So well made and his tail is so cute! Cubchoo for size reference! SSS Post! Lucarios and Zeraora! It's that time of year again! SSS Time! Zeraora welcomes you. 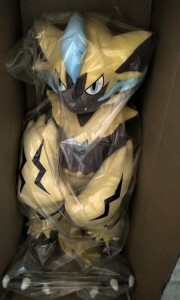 :) I have to thank pepperzark for all the wonderful Lucario and Zeraora merch....I have the Lucario Pokedoll at one time but lost it so to have it again is magical! And the Zeraora figures add to my growing Zera collection. X_X Thanks so much! Look below for the SSS! These are being given out at random when you buy a drink at the Pokemon Cafe in Japan. 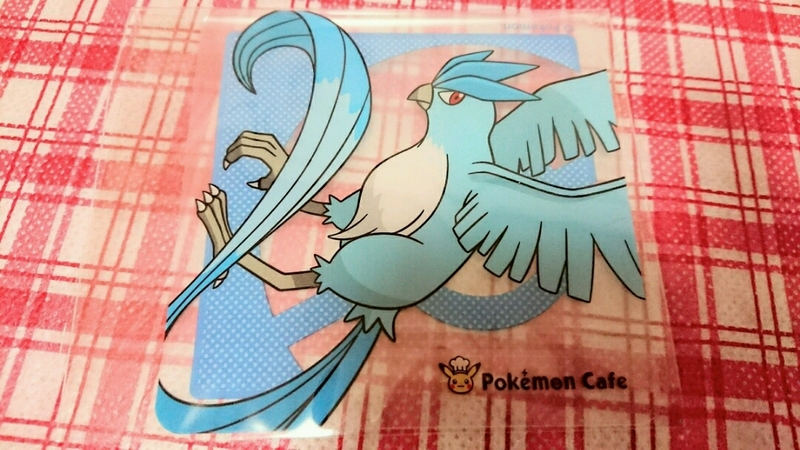 There is also an Articuno straw piece on the Articuno drink, and possibly an Articuno place mat (which I'm also looking for) but the coaster is my top priority.